Yoga mats will be available for the first 8 sign ups only. We suggest you to bring your own yoga mat, if you have one already. Other upcoming sessions: 27 May. Location same as above. Class size limited to 15-20 individuals. Payment needs to be made in advance. 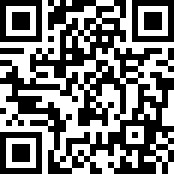 For payments and/or naked Hub member registrations, please visit https://yoopay.cn/event/11678916 or scan QR code below.